Dr. Moji Chandy has been practicing dentistry for over 12 years. She received her Doctor of Dental Surgery degree from the NYU College of Dentistry. She is truly passionate about dentistry and holds a dual degree. After receiving her DDS from NYU in 2006, she practiced in New York for a year. She moved to Texas in 2007 and has been practicing in the Dallas-Fort Worth area since then. In September 2012, she opened the doors of her first private practice – Aegis Dental in Carrollton, Texas. Dr. Chandy stays current with the latest trends in dentistry by attending continuing education classes, symposiums, and seminars. She also subscribes to multiple dental publications that promote state-of-the-art innovations and practices. She is currently a member of the American Dental Association, Texas Dental Association, Academy of General Dentistry, and the North Texas Dental Society. Dr. Chandy’s extensive training shows her dedication and ability to effectively serve patients in different areas of dentistry. In addition to her technical proficiency, Dr. Chandy is committed to taking the time to listen to and understand her patients so she can respond to their individual needs. She is always considerate, attentive, thorough, and gentle. Her commitment to dentistry is one reason why many people choose Dr. Chandy and why so many of her patients refer their friends and family to her. 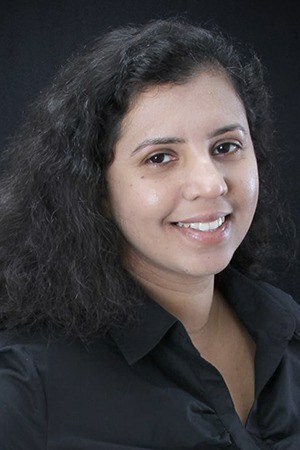 Dr. Chandy is a family-oriented female dentist. Along with her commitment to her profession, Dr. Chandy is also committed to her community and her family. She currently lives in Lewisville with her husband and three children. For anyone seeking a skilled and caring female dentist in the Dallas-Fort Worth area, Dr. Chandy’s Carrollton dental office is certainly worth a visit.